Car, truck and motorcycle collisions happen every day throughout Camden and Burlington counties. Doctors and nurses make medical errors in New Jersey hospitals. NJ construction sites are notoriously dangerous. The fact is, as careful as we try to be while we go about our daily business, accidents do happen. However, when someone else’s mistake causes you or someone you love permanent brain damage, you deserve to be compensated. Further, it’s completely understandable that you want to hold the negligent party responsible for your accident. 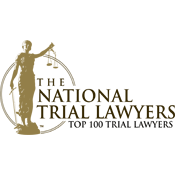 If you or a loved one was injured in an accident that resulted in serious brain damage, also called “traumatic brain injury” (TBI), act right away to preserve your right to sue for maximum compensation for your injuries. 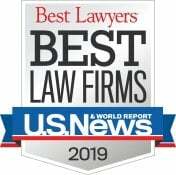 Contact the award-winning, highly successful personal injury attorneys at The Law Offices of Andres & Berger, P.C. for a free consultation about your case. We have recovered millions of dollars in verdicts and settlements for TBI victims. We will help your family, too. Brain injuries, especially concussions, have gained national media attention in relation to professional athletes – football players, hockey players, baseball players and boxers – with the concern reaching youth sports teams. However the major causes of traumatic brain injuries, commonly referred to as TBI, include car accidents, firearms, falls. Hypoxia (lack of oxygen), infections, and strokes. A traumatic brain injury in most cases is immediately obvious but sometimes the full extent of the injury is not immediately revealed. This is especially true when the victim suffered a closed head injury. In some cases, the brain may be affected in ways so subtle that only people close to the victim notice changes in abilities, behavior or personality. Traumatic brain injuries are often the result of an accident or mistake caused by someone else’s negligence. Sometimes the resulting injuries are mild – headaches and intermittent blurry vision. Other times, serious injuries can cause unimaginable pain, paralysis, blindness and even death. Common symptoms of TBI include: dizziness, nausea and vomiting, headaches, memory loss, sensitivity to light or noise, seizures, trouble sleeping or sleeping too much, problems with dexterity, motor skills or coordination, and more. At The Law Offices of Andres & Berger, P.C., we take all catastrophic personal injury cases, especially brain injuries, extremely seriously. We understand how a TBI can impact your ability to earn a living, participate in normal activities and enjoy your former quality of life. We have helped countless families in Cherry Hill, Medford, Moorestown and Mt. Laurel recover damages they need to pay medical bills, replace lost wages and take care of their families in the long-term. 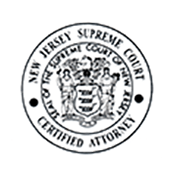 We are based in Haddonfield in Camden County, NJ, but we are well known throughout the entire state of New Jersey as lawyers who never back down from a fight. We work tirelessly to obtain justice for our personal injury clients. 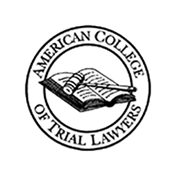 Motor Vehicle Accident – including car, truck, motorcycle or bus collisions. 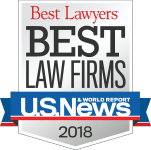 Medical Malpractice – Surgical mistakes, wrong medication mistakes and several other types of medical malpractice can cause life-altering traumatic brain injuries. Birth Injury – If your baby developed a brain injury before, during or after birth due to a medical professional’s negligence, we will protect your child’s rights. Construction Site Accident – including a fall, equipment tip-over, machine mishap, etc. 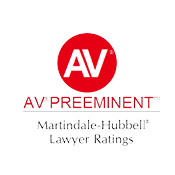 Premises Liability Case – including slip and fall, trip and fall, items falling on you, assault caused by lack of security or insufficient lighting. Product Liability – We will hold manufacturers, suppliers and sellers responsible for injuries caused by malfunctioning products. If you believe you may have suffered a brain injury, obtain medical assistance immediately. Once you are stable, contact The Law Offices of Andres & Berger, P.C. to find out how we can get you the compensation you deserve for your injuries. No other personal injury lawyers will work harder to get you and your family the justice you deserve and the funds you need to move forward with your life. 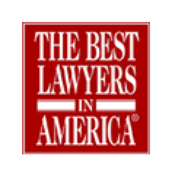 When someone else’s negligence or careless mistake causes you or someone you love to be injured in Voorhees, Washington Township or Evesham, or anywhere else in South Jersey, we know you want justice and deserve financial compensation. We will take on your fight, standing up to insurance companies and working tirelessly to get you damages for pain and suffering, lost wages, current and future medical treatment and more. Call The Law Offices of Andres & Berger, P.C. today for a free consultation about your accident in South Jersey, including Maple Shade, Medford and Pemberton. No other lawyers will fight harder to get you and your family the compensation you deserve. There are no upfront legal costs. We take all cases on a contingency basis; if we don’t win, you don’t pay.